Over 100 years old and growing strong. 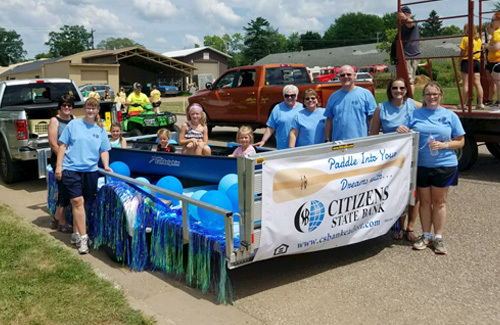 Citizens State Bank was chartered in 1902 when a group of businessmen, farmers, and workers created a banking institution to not only meet their financial needs but also foster the growth of their small community in Cadott, Wisconsin. Two moves occurred before settling at the current location and relocating the drive-up facility to Highway 27, near the Highway 29 interchange. In 1985, a branch bank was built at the corner of Highways 178 and S. In 1995, another full service office was opened at the corner of Highways J and X. View all locations. Citizens State Bank is the best kept secret in banking. Join us in building on our 100+ years of community banking experience – we are ready to grow! 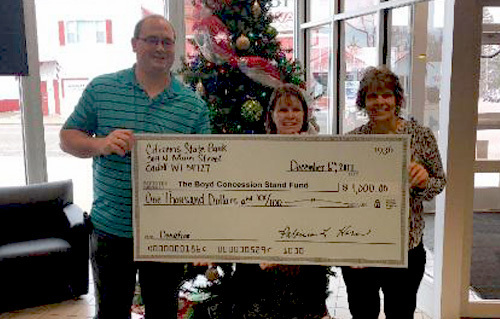 At Citizens State Bank, it's our mission to develop long-term customer relationships built on trust. We strive to maintain a sales environment that reflects our mission by identifying our customers' needs and promoting practical and beneficial solutions for them. Our management team supports our mission by actively working to maintain an environment that encourages open communication, problem-solving, and a high level of customer service. You'll love our compensation package that includes competitive wages, generous benefits, training, and opportunities for advancement. Be part of an organization that values integrity, teamwork, and relationships – send us your resume! 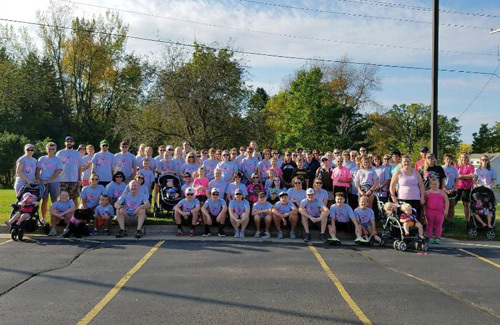 Citizens State Bank, headquartered in Cadott, Wisconsin, is seeking an dynamic individual for the position of Human Resources Officer. Reporting to the Bank President, this individual will lead, direct and manage the Bank's "people portfolio". This position is responsible for the development and maintenance of human resource policies, monitoring and complying with federal, state and local laws and legal requirements, employee relations, compensation, benefits, processing payroll, recruitment, maintaining employee files and employee development and training. The qualified candidate will have a bachelor's degree and 5 years human resource experience. SHRM or other certification (PHR, SPHR, SHRM-CP, SHRM-SCP) is desired. Knowledge of employment law and regulations required. Excellent verbal and written communication skills are required. Experience with Microsoft Office (Word, Excel and PowerPoint) required. We are seeking a Mortgage Banker to join our lending team. The Mortgage Banker will work at our Chippewa Falls office and provide retail mortgage loan services and assist customers with the opening and maintenance of deposit accounts. Primary activities are to build positive and lasting customer relationships, earn an acceptable rate of return from financial product sales and services, and consistently pursue new business with existing customers and new customers. The ideal candidate will have a minimum three years of experience in personal banking/financial services industry, mortgage lending, loan origination, account maintenance and customer service experience. Excellent verbal and written communication skills required. The successful candidate will have experience performing in a sales culture and have been successful in meeting pre-determined sales goals.